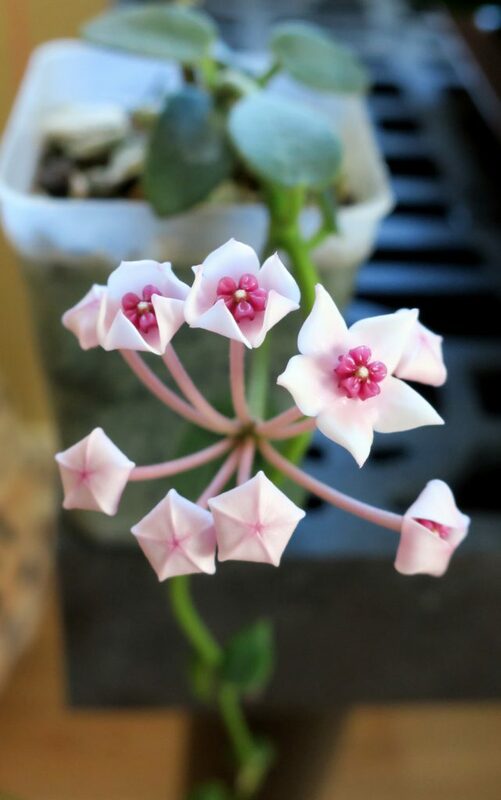 Hoya lithophytica has opened her first flowers ever for me this morning, and I can’t tell you how thrilled I am. It is not just because this plant has been a particularly bad pain in my side, but I have not had a first-time bloomer in almost 3 months. Here are the first flower photos and there will be much more on this limestone loving plant in the next several days. This entry was posted in Hoyas on September 17, 2016 by Doug.